Finding love online is a huge topic, but that’s what this site is all about – showing you how to find love online. Here you will find hundreds of pages of advice, tips and instructions, as well as warnings about potential pitfalls to avoid about our favorite subject – and for today at least, yours too. Find Love Online Starting Today – Browse the Photo Profiles at PenPalsPlant.com now. You can start the process of finding love online right away, but you have to be clear that finding love is a process, not something that you can just flip a switch on your computer to achieve. Having said that, your computer is a great tool in helping you first to understand how to find love online and second to actually begin the process that can, with attention to detail, lead to a fulfilling and lifelong relationship with someone of your choice. The first thing you have to understand is that you have two areas to work on: searching for the right person, and improving yourself. You have to interact with people online and/or in the real world in order to locate the right person for you, but you also have to take a good long hard look at yourself to make yourself into someone who is very lovable. Don’t neglect this second point, it is by far the hardest of the two tasks, but without it your quest to find love online will be that much the harder. You want to find someone very special online, someone who will care about you and love you, but in order to find such a person you have to become such a person yourself. The person you are looking for is also looking for someone special who will care about and love them too, so in a sense, to find what you want you have to become what you want for somebody else. 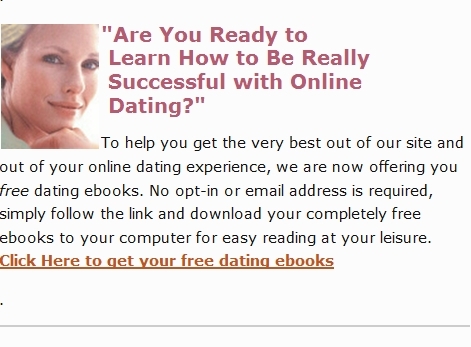 Next in how to find online is the process of using a dating site in the right way to achieve the best results. I covered much of this in my recent article How to Meet a Woman Through Online Dating. Yes, that particular article is mainly aimed at a male audience, but the points I make in it hold up well for a female audience too, so check it out if you are female too. The long and the short of it all is that you need a good, reliable dating site, and my recommendation is PenPalsPlant.com. The most important point I want to make to you on this page is that if you just go blundering into online dating, without any kind of plan or any thought, then you are not going to get much out of it. You will end up saying to yourself, “Online dating does n’t work, it’s a scam,” when the truth is that it will work for you if you take the time to think it through and learn how to use it properly. Before you learnt to drive, if you had just hoped into a car and tried to drive it you’d have limited success, wouldn’t you? So what would you then say, cars are a scam..? Cars don’t work..? No of course not. So it is with online dating and how to find love through online dating. So begin learning how to find love online by learning how to use online dating properly. Begin with Meet a Woman Through Online Dating Sites, or if you are a woman then you might prefer How to Attract a Man to You. Either way, use these resources as a starting point to explore all of the advice and help here at SingleDating.com. To see our other finding love advice pages go to our main site Site Map as well as our Blog Site Map. For more on how to find love online go to How To Find Love Online Quickly and Realistically. Good on identifying the problems of those ready to give up finding love. Anecdotal help on how to find love at an Oprah site. How to Find Love online through Internet Dating. A video walk through of the basic process. Don’t ignore the advice on this how to find love online page, take out a dating subscription at Pen Pals Planet and begin the process. Or to see more of what Pen Pals Planet is like first, you can browse the photo profiles to see who’s out there and waiting to meet someone like you: Click here to Browse the Photo Profiles at Pen Pals Planet. Find Love Online – Browse the Photo Profiles at PenPalsPlant.com right away and find a woman or man to meet for dating online. Whether you’re young or old, there is nothing to stop you meeting singles in the modern dating scene now. Please check your browser’s address bar: if you’re not reading this how to find love online starting today post at http://www.singledating.com/blog/ then you may be reading an unauthorized copy. This page and its contents are exclusive to SingleDating.com . Please navigate directly to www.SingleDating.com/blog now to begin your genuine online dating experience. Don’t forget to bookmark this post about how to find love online starting today.